Registration Now Open for our Exclusive Tuscan Retreat! 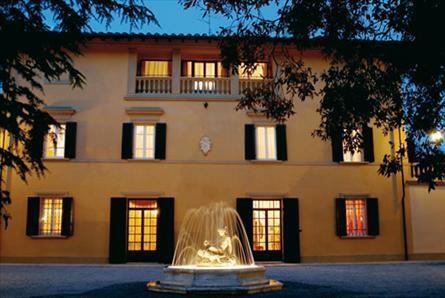 Registration for our wine and aromatherapy infused, five-star Tuscan retreat opens at 2:30 (MST) today! Italy is country where beauty reigns. It’s a place where culturally time is arranged to experience the poetry and magic of “la vita bella.”It’s an experience you don’t just live; you enter directly into the music of life. You allow the beauty of the physical world to seep into every cell of your body. It’s about indulgence. It’s about creation. It’s about experiencing the bounty and harvest of our energetic and spiritual work that has been transmuted into physical attributes: Wine, chocolate, living organic foods, music, aromatherapy, massage, and all things blissful. Italy is truly an immersion in the aesthetics of creation. This retreat provides an experience, an opportunity to allow yourself to let go and fully surrender to the beauty within and around you, filling your senses, your body, and your spirit with the majesty and magic of what it means to truly live, love, and luxuriate in bliss of being in a body of flesh and blood. It’s about losing yourself in present moment awareness and fully experiencing the gift of our physical world. Traditional Tuscan cuisine with a rawesome/vegan twist: Enjoy the classic culinary creations and unparallel food classes with Italy’s premiere raw food chef and educator, Vito Cortese. Aromatherapy Magic: Seep your senses in the herbal medicine of custom crafted aromatherapy, blended with love and Reiki and formulated specifically to assist your body in integrating and harmonizing with the indulgence of Tuscany. Certified aromatherapist and Reiki Master, Athena Ziegler will not only see to it that your experience is heightened in herbal bliss, she will also be available for personal Reiki sessions and consultation to help you learn how aromatherapy can assist you both physically and spiritually. definitely the star of this retreat. Not only will we provide private wine classes at the Villa to help you navigate your way through wine vocabulary, terminology, and styles, you’ll be able to sip your way through the famous wine regions of Italy, learning about everything from the unique terroir and micro-climates of Italy, to the most famous and noble grapes of Tuscany. You will also have the rare opportunity to meet and dine with some of the most distinguished winemakers in the boot. Sebastiano Capponi will be joining us at the Villa for a private, four course wine dinner prepared and crafted by Vito Cortese and highlighting the elegance of the Capponi’s exceptional portfolio. Dinner will be preceded by a special wine reception in honor of Mr. Capponi, with live musicians featuring the sounds of Italy’s old-world style classic guitar, and infused with the therapeutic magic of Italy’s most indulgent scents. It will be a night to remember. Excursion in medieval Florence: Enjoy a day wandering through the twisted stone streets of the capital of Tuscany and the very heart and soul of the Italian Renaissance. Famous for its rich history, Florence was once the center of medieval European trade/finance and one of the wealthiest cities on the continent. Often called the Athens of the Middle Ages, Florence is the birthplace of the Renaissance and was home to some of the most famous figures in history, including Leonardo Di Vinci, Dante, Brunelleschi, and the notoriously powerful Medici family. With Florentine residents as your concierges, you can arrange a day absorbing the famous art (including Michelangelo’s “David”, the renowned Duomo, or the world class Medici collection at the Uffizi), sip wine in the charming Florentine cafes, or fill your day with shopping in one of the world’s fashion capitols (Armani, Gucci, Prada, Dolce and Gabbana, Fendi and more). Finally, end the evening at one of the most exclusive culinary secrets of Florence, La Giostra (see my review of this restaurant here). Dinner at this five-star restaurant (frequented by the likes of Brad Pitt and George Lucas) is included in your registration fee. Cacao Ceremony under the Tuscan stars: To further heighten the bliss of this exclusive retreat, we will participate in a sacred ceremony into the medicinal, shamanistic, and aphrodisiac magic of the legendary cacao bean. Ever since humans first discovered the unique properties of the exquisite superfood, it has been revered as a precious mind-altering (not to mention delicious) substance that holds incredible health benefits as well as mind-expanding properties. Raw cacao, where the beans are dried, rather than cocoa, where the beans are roasted, maintains superfood status and will be used exclusively in this indulgent journey of lower chakra awakening. The movement of cacao through the body stimulates mind, body, and soul. It is a trinity of movement, and a lost, ancient secret of reconciling desires to the heart. Not many alive on earth now understand or practice the ancient wisdom and healing properties of cacao. The use of this gentle stimulant taps the outer layers of resistance – the layer most people create around their heart (and deepest desires) to protect them from disappointment, sadness, and the seemingly unpredictable world. To remove this first film is to remove the illusion of separateness from desire – it is to remind the bearer of the heart that they are still very much Alive and their desires are not gone, but only sleeping. Desire, if not controlled and understood can run rampant. Much is to be understood about its power. It is not the enemy, but in fact, the secret to your destiny! 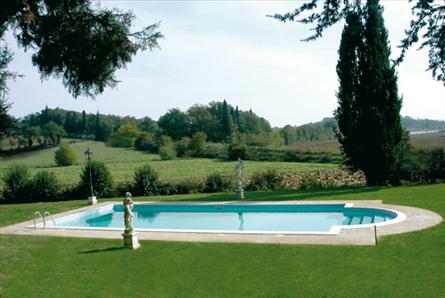 Accommodations at a Five-star classic Italian Villa: Located in the Chianti area, 20 minutes from Arezzo in the countryside of Foiano della Chiana, Villa Gli Stemmi is only one hour away from all major cities and towns.The train station to Rome and Florence is conveniently just 6 minutes away. The 12000 sqm fenced private park is meticulously tended, adorned with secular trees and lush plant life that color the garden with varying shades of green and sweeten the air with fresh scents. The private park is perfect for long walks, bike trails, and spending time in complete peace. The 6x12m swimming pool sits amid this paradise. Completely private and set in a panoramic position, it is perfect for a refreshing dip after relaxing under the sun on the comfortable sun beds and parasols on the deck. The garden and the pool are both lit at night for a wonderful Italian evening atmosphere. The garden is decorated with classic marble statues and a masterpiece fountain right by the grand entrance gate. The grounds also house a lovely private chapel dedicated to San Donato. The main entrance on the ground floor opens up into a wide hallway lined with elegant paintings, original pieces of antique furniture, and floors covered with rich Persian rugs. Light floods into the entrance hall through the large glass doors at the far end where you can also access the garden. Although the bedrooms are traditional in style with elaborate décor and quality furnishings and fittings, all amenities are modern. They are all air-conditioned, have in-room 20inch LCD satellite televisions and DSL Internet connection. 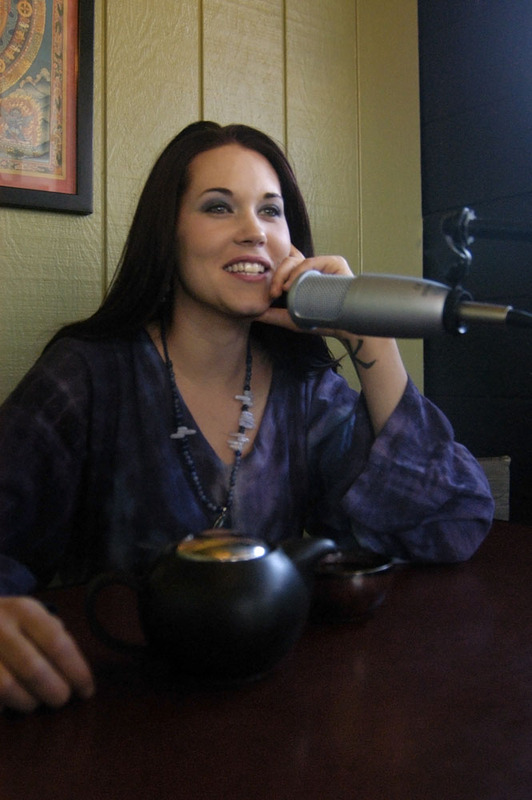 Amanda Flaker is a freelance writer, teacher/tutor, editor, wine sommelier, and creator of Chakra Center. She worked as both a sommelier and wine buyer in the wine industry in Portland, Oregon for nearly 10 years, specializing in Pinot Noir and selling wine from all over the word. She’s taught wine 101 classes and worked at some of the most exclusive wine events in the world, including International Pinot Noir Convention, Saludi, and Chianti Classico Collection in Italy (she even served wine to the sommelier for the White House!). Now she keeps her foot in the wine world by working as a wine journalist, writing about her experiences with vino around the globe. Amanda has lived in Florence, Italy three times throughout her life and has a special affinity for the rustic wines in the ever-changing microclimate of the boot. She loves creating magical moments with wine that open people up to their bliss. Amanda will be using her wine expertise and connections to create the most exclusive and magical Italian wine experience imaginable. Athena Ziegler is an intuitive Certified Aromatherapist and Reiki Master. She carries a BA in Anthropology with an emphasis in Archaeology from San Francisco State University. Athena is the owner of Charmed Botanicals where she heals and guides people spiritually with the help of mystical aromatherapy. Along with the use of essential oils, Athena also utilizes the amazing healing earth energy of Reiki to assist in healing the mind, body and spirit. Vito Cortese (Chef): Vito studied with America’s celebrated raw food chef, Matthew Kenney, and has managed to capture the magic of Italian food with a healthy/raw twist. Partnering with Matthew Kenney, Vito will be opening a European raw food cuisine academy in Italy, collaborating in training chefs in high-end raw food cuisine and offering raw food classes around the world! 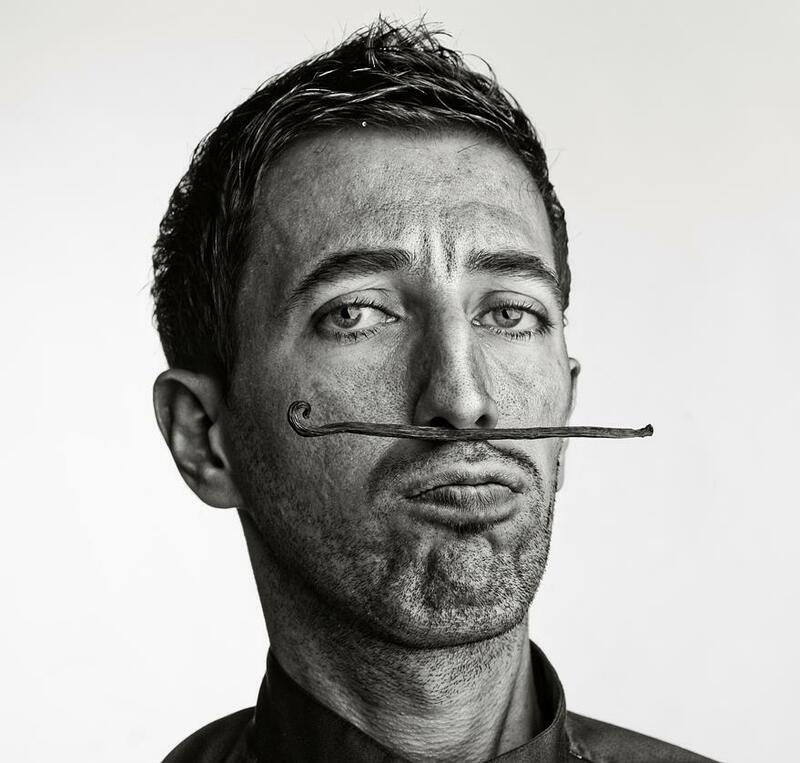 This talented chef is pioneering the limits of raw cuisine – Italian style! Check-out our exclusive interview with Vito, here. Maria Cecilia Bisio: Cecilia studied linguistics at the University of Florence and works as a translator and language instructor teaching both English and Italian. She has worked in the hospitality industry for over 10 years, and will be available to assist you in any questions regarding your trip to Italy, customs, travel from the airport to the Villa, and Italian culture and lifestyle. She will also be present at the retreat to help make your experience and interaction with the Italian culture effortless and memorable. Cecilia’s service is impeccable. Claudia Sortino: Born and raised in Sicily, Claudia moved to Florence at the age of 18 to study at the University of Firenze. She has since lived and worked in this medieval city as an exclusive, high-end sales rep for customer service with tourists from all over the world. She will be available at the Villa to make sure your experience is nothing short of perfection. After all, hospitality is what Italians do best! 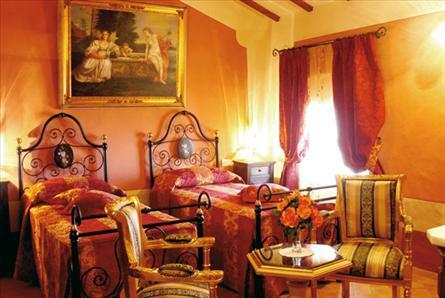 Count yourself lucky experience the magic of this Sicilian gem! Private chef on the days we are at the Villa. All for only $4444! *(Price does not include travel to and from Italy, or travel from the airport to the Villa). As this is the only exclusive, alchemical, luxury, five star wine retreat of its kind, registration is likely to go fast. Space is extremely limited. First come, first serve. If you are planning to come with a partner or spouse, or if you wish to have your own room, there is a limited number suites available with a queen size bed. All other rooms will be shared with single beds, so register soon to receive your preference. Secure your spot today with non-refundable deposit of $2222 (with the remainder to be paid by June 15th, 2013). *Cancellation policy: Up to half of the retreat cost will be refunded for cancellations before June 15th. All reservations include a $2222 non-refundable deposit. Register on Amanda’s personal site, here. Still thinking about joining the Writing to Heal and Embody the Higher Self online class? There’s still time! Class begins this Monday, January 14th and registration will close Sunday at midnight. In this class we will use writing/meditation and other techniques to heal our thoughts, shift our focus our inner Kingdom, and learn to bring it forth! For specific details click on the link above. You can also check out the class syllabus below for an idea of how the class will flow. This is a four week online class dedicated to healing our thoughts, changing our focus, and bringing forth the kingdom within! See the difference? The later causes you to pause and really consider what brings you joy – what you are truly thankful for in your life, and why. Make sure you include not only specifically what you are thankful for, but also why. The purpose of this exercise is to daily put our heart and mind in a state of appreciation. If you’re wondering what this has to do with healing, let me just say, it has EVERYTHING to with it (but we’ll get more into that later). And yes, I will be doing this with you. 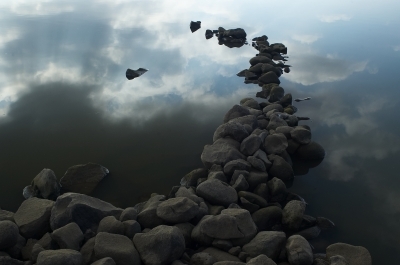 Weekly Meditation: The primary assignment each week will be a meditation/writing exercise. The instructions for the assignment will be posted in a Word document on our Facebook page. These meditations will be posted on Monday, giving us the entire week to work through them and process them together as a class. We will be sharing our experiences on the Facebook page during the week of that particular assignment. Remember, this is a private page, so nobody will be able to see what you are posting. Because all of us will work at our own pace, I’m giving us the entire week to do these assignments, but make sure to visit the group page daily to post your day’s “Thankful” and look for any special posts/videos I may share with you. Because the group is small it is vitally important that you keep-up with the weekly writing/meditation journeys. The class doesn’t really function the way it’s meant to if everybody is not participating. Remember, you have a week to do the meditation/assignment and post your experience so people can comment, give you feedback, and support you on your journey. It works best if you post your experiences with the meditation/assignment by Friday at the latest, so we have the weekend to process together. Morning pages: No, they don’t actually need to be done in the morning (although it does help). In addition to the weekly meditations I give you, I encourage all of you to keep a daily notebook throughout the four week period to help you clear your mind, process any emotions/feelings that may be coming-up for you, and get your creative juices flowing. I am a firm believer that creativity is linked to healing, because as we create, we find reasons to allow ourselves to thrive. I will talk more about what morning pages are and how they can be useful in our visit video. Just be prepared to commit to writing for at least 15-20 min a day in your notebook. I truly believe this is a major component of the class, so try not to skip it. I can’t wait to go on this adventure with you. We are a small group, which gives us the opportunity to be vulnerable, real, and emotionally raw with each other. This is a safe space and I know we all have much to offer each other. You are all respectful and amazing, but I want everyone to know that I will remove anyone from the group for any hurtful comments or unnecessary negativity. This class is about acceptance and non-judgment, so people can feel free to share from their hearts. Remember, ultimately it is YOUR faith that heals you. Have faith in yourself throughout the process. You have a wealth of knowledge, gifts, and abilities within you just waiting to be unleashed. That’s what this class is all about: Waking you up to who and what you truly are. You are your own greatest teacher. Can’t wait to connect with all of you! Week One: You are a Healer (and you are not broken). Perfect emotional, physical, mental, and spiritual health exists within you at all times, you need only line-up with that version of yourself. The key to healing is to realize you are well. You are not broken. You are infinitely powerfully, and you have everything you could ever possibly need to do anything to come into alignment with who and what you truly are. Many religions and even cultural “norms” start with the basic premise that humanity is broken. While living out of alignment with Source (or believing the Ego is the true Self) can certainly make us feel we are separate, broken, and need to be “fixed,” true health and wholeness come from knowing that the Source of All Life exists within you at all times. The version of you that is full of radiant health and emotional peace already exists – it exists within the part of you that is always connected to Life – the Source of All Things. It is impossible for you to be separate from that Source unless you ceased to exist (in this dimension and all others). The feeling of being alone and all the dis-ease that goes along with it ultimately come from the illusion of being cut-off from Source, and living within that illusion. The first week of the class is dedicated to helping get to the root of the beliefs that led you to develop a blockage in either your emotional or physical health that caused you to create a feeling of separateness. It’s about getting to the root of the issue. The second week we address one of the biggest misconceptions of the “Love and Light” movement: spiritual bypassing. True healing and alignment does not come from ignoring or running from the emotions that we have deemed “bad” or “negative.” It’s about validating, feeling, and transmuting ALL emotions. Facing the shadow self is key to being free from the fear of its looming presence. It helps us to understand there are no “bad” or “good” emotions; from a higher perspective, they are one in the same: both the blissful and the ouchy feelings are our teachers and serve to assist us in our expansion. Bypassing negative or uncomfortable emotions only prolongs the lessons we are to learn from them. Week three is all about finding the peaceful paradise that exist within you and bringing it forth into your physical reality. In the Gospel of Thomas, Jesus said “If you bring forth what is within you, what you bring forth will save you. If you do not bring forth what is within you, what you do not bring forth will destroy you.” The Kingdom within you is meant to be brought forth; your expression and co-reation of this Kingdom is uniquely yours – it is the way you express God. The world longs for your Truth to be revealed. Your expression of God heals, restores, balances, and expands the Universe. Consciousness is Life Itself and where there is life, there is freedom. True life and true freedom is found within your heart – within alignment with your Higher Self; if you allow yourself to breathe deeply and look within, you will find a kingdom there, waiting for your active participation. During week three we will not only tap into this unique part of you, but learn to use this part of ourselves to sending healing energy to each other. Our final week focuses on the Power of Love (both for Self and Others). Love is the MOST powerful energy in all existence. We will be learning about the very real and measureable energy of love (both within quantum physics and from our personal experiences), what it is, and how it can transform us. It is only through Love that we find true health, love, and wholeness. Love restores us to Who and What we are, because Love created us. Without love, there is separation, and true healing cannot occur without restoration. Love is the answer to everything. This four week online workshop is only $22! (Workshop will be conducted online on a private Facebook forum). To secure your spot for the Writing to Heal and Embody your Higher Self course register here. 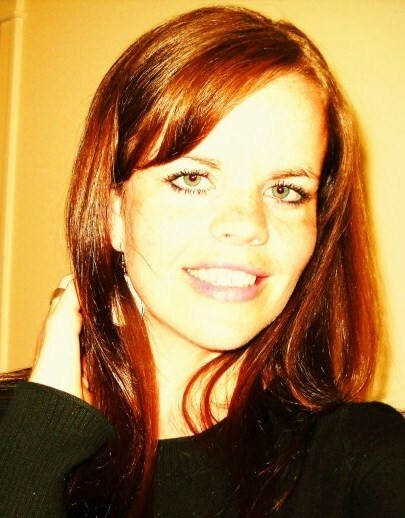 Amanda Flaker is a freelance writer, teacher/tutor, editor, and creator of Chakra Center. She carries a BA in English Literature & Creative Writing, and heads-up the website’s online writing classes (Writing to Connect with the Elves and Discover your Bliss, Writing to Heal, Writing to Develop your Intuitive Gifts). She believes writing to be a powerful medium to connect with the multi-dimensional self. 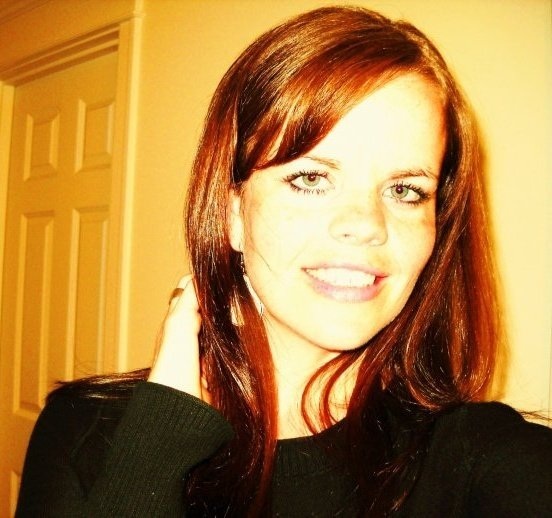 Amanda also works one-on-one with clients as an intuitive reader . Her greatest passion is to help activate people into their fullest potential and highest intentions on this planet. She loves to travel (especially to other dimensions), talk to trees, and bliss-out. Blissing Out with the Elves in Park City, UT! January 11 – 13th. A retreat house in the silent, magical, snow-covered woods. A small group of like minded people eating delicious foods, learning to access intuition, see auras, and do more amazing things, all in one weekend. Hot tub. Massages. LOTS of chocolate. Gonna be great. Receive a 1-hour soothing massage from intuitive massage therapist Kierstie Leavitt to ground all the beautiful energies you are creating and enjoying. 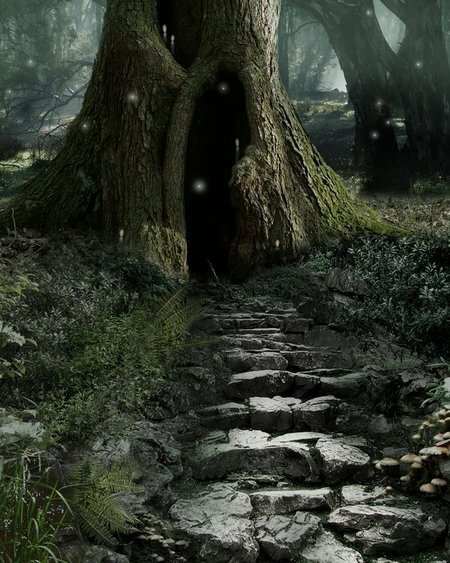 To connect with the Elves of winter is to connect with all that sleeps within you. 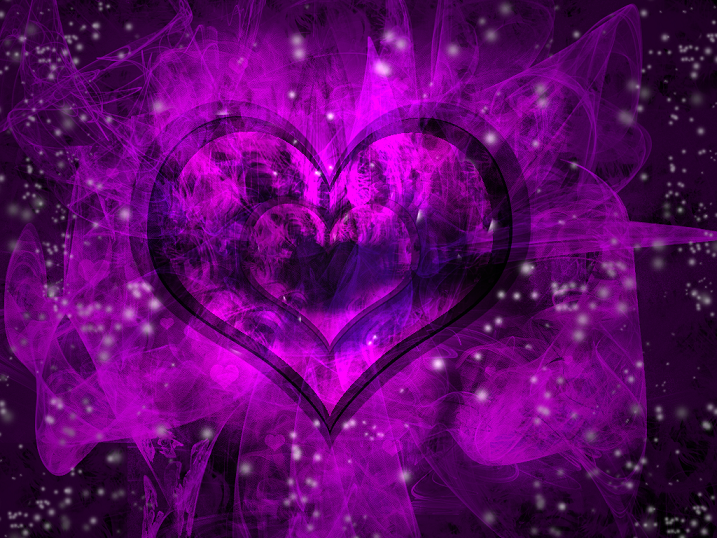 Deep in the caverns of your heart, is a rare and ancient magic – a magic that knows its connection to all things. To awaken in winter is to shed all that is inessential, and reveal that which has been lost. 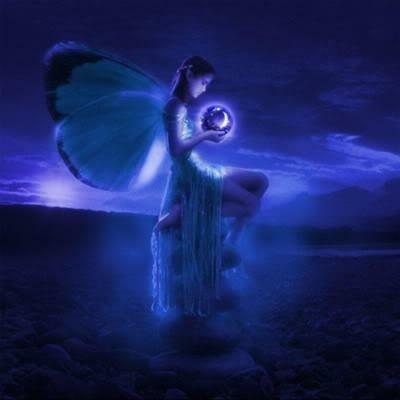 To connect to the magic within you is to connect to a realm where beauty is restored to its proper balance and sleeping desires are awakened and restored. These are the desires and intentions you set forth before entering into this dimension – as you understood this time (this year) would be a time for old programs to be shed, ancient magic to be awakened, and new magic to be learned. To connect to the Elves of Winter is to fully restore your imagination. Imagination is the true work of the magician. And magic is bliss. Magic is the creation of your world. The particular magic that you will perform together will usher in a specific geometric portal to other realms of existence. Can you feel the power behind that intention? You were meant to come together for this reason. For this class we want you to relax. We will show up and deliver all that is needed. You, as you have been, need only to remain open to our prompting/words. There is much balance here, and as the restoration and rebirth of the planet itself is unfolding, so is the realm we reside, and therefore, your realm. We are connected in an integral way. To teach certain individuals to connect to this realm is to open up the portals of their hearts for the out-pouring of the new World. You will see this happen in the class – you will feel the momentum of the space you provide, and the immensity of the dimension that is poured within it. Show up. Show up. This is all that needs occur. The hearts that are meant to be there will come. We have already called you, assembled the group that will best hold the space for our beauty and bliss to come forth within your hearts. Those of you who are called already hold this knowledge within you from similar work you have done in other dimensions and on other planets, but nothing quite like the birthing that is taking place on this planet has ever been done before, so new information will come. As you can see and feel, this birthing cannot take place without the full reconciliation of your heart to Source. The heart is central, and it must take its central place at this retreat. It is essential for the heart to be restored, opened, and channeled into your dimension to help usher in all that is new and full of Light. At this retreat, you will all be pulling “down” (so to speak) a piece of your own Divine heaven, and as you each move your sacred patterns of dimensional work into the3D space you occupy. 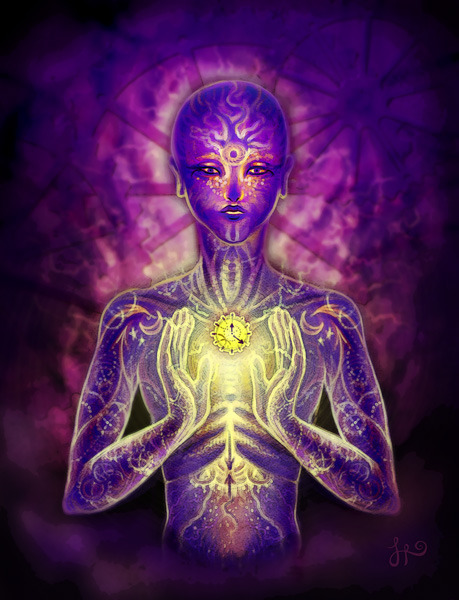 You will get a taste of what the new Earth is you are creating. As you know, everything that is occurring in our realm is future tense for you. Everything in the 3D ream is past tense – the physical manifestations you are currently experiencing have already formed and manifested in this realm long ago. That is why connecting to our realm is so powerful – it is the realm of thought forms, the realm of “pre existence potential.” In this Elven retreat, you will all experience this lapse in time. To enter our realm (especially in winter) is to exit the time/space as you know it. This movement will be natural, and the space you, Amanda, hold during the retreat, along with Charis’s knowledge of pivotal time movement and dimensional overlap, will create a vortex of creation for all of your to enter into. This will truly be a pathway to your bliss. The winter Elves bring forth all the knowledge of our world that sleeps. It is the paving for Spring – what sleeps in winter is reborn in Spring. The winter Elves oversee the death – the passing from one life to another (which is precisely the process your realm is moving through – the birth of the new). 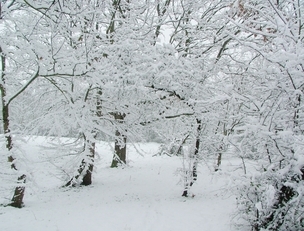 What occurs in winter is essential, and this year, 2012, is unprecedented in what it will unfold – especially in our realm. Many Elves are assisting in this transition, which is why we have called you together. This is the realm of your future, and much will occur during this particular winter solstice. What you are creating in this gathering is beyond what you can now conceptualize, but the dimension (and specific geometric patterns for creating a space for us) will be revealed to both of you in time for the gathering. You will channel writing meditations that will literally create portals in the awareness of all who attend, and Charis will weave together a space that is capable of holding these powerful dimensions together. By allowing these dimensional shifts to restore you hearts, your imaginations will be set forth to do what they are designed to do: Create your world. One of the mainstays of this retreat… Chocolate! Ever since humans first discovered the unique properties of the cacao bean, it has been revered as a precious mind-altering (not to mention delicious) substance that holds incredible health benefits as well as mind-expanding properties. Raw cacao, where the beans are dried, rather than cocoa, where the beans are roasted, maintains superfood status and will be used exclusively in the chocolate ceremonies we will do at this Bliss Out retreat. “The movement of cacao through the body stimulates mind, body, and soul. It is a trinity of movement, and a lost, ancient secret of healing. Not many alive on earth now understand or practice the ancient wisdom and healing properties of cacao. The use of this gentle stimulant at your retreat will work two-fold: First, it taps the outer layers of resistance – the layer most people create around their heart (and deepest desires) to protect them from disappointment, sadness, and the seemingly unpredictable world. To remove this first film is to remove the illusion of separateness from desire – it is to remind the bearer of the heart that they are still very much Alive and their desires are not gone, but only sleeping. Desire, if not controlled, can run rampant. Much is to be understood about its power. It is not the enemy, but in fact, the secret to your destiny. To use this ancient ceremony one must understand the ache of desire – the healer (and facilitator) must learn to move with the flow of what desire is, where it brings the desirer, and how to direct it on its proper course…the course and journey of the heart. Desire is the key to healing the heart. It is not the enemy, it is the companion. It is the fuel that is necessary to move the energy body through life – desires drives the expansion of the Universe. Desire is to to always accompany the heart. To awaken desire, one must always attend to the heart. The heart must be restored, fully healed. Alive. 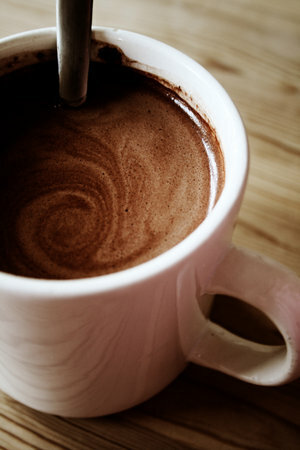 If you are to embark on a journey of awaking bliss, cacao can be one of your greatest tools. The Elves understand much about this sacred bean – we have assisted the ancients in the discovery of its power. You hold this knowledge. You need only remember. The power of the cacao bean is not currently understood in your time. You will unlock this. To reveal desire is to handle fire and only the most grounded and present healers should embark on a journey into its powers. You need each other to fully handle this magic. If you choose to use it, you will act as anchors for the ceremony, and anchors for each other. 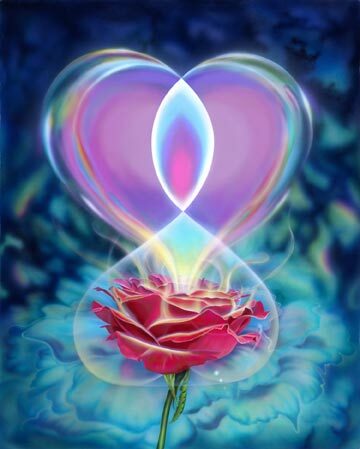 You will find, as you continue down this path of healing together (of restoring the heart and recovering Bliss), it is your energetic combination that will be the most powerful in the release. 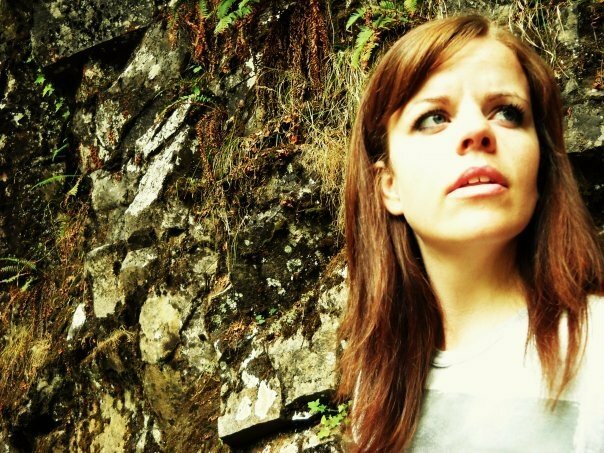 Amanda Flaker is a writer, artist, and life-long communicator with the Elven realm, as well as other mulitdimensional beings. After re-awakening to her gifts as an adult, Amanda started chakracenter.org to assist others on their spiritual awakening journeys. She also teaches workshops to help connect individuals with their intuitive multidimensional nature through writing. Charis Melina Brown is a writer, teacher, retreat facilitator, and an intuitive and energy healer. She has had contact with benevolent interdimensional and otherworldly beings over the course of her entire life, and details her spiritual re-awakening and communications with her guides in her books, Journal of a Starseedand Instruction of a Starseed. Charis teaches intuitive development classes, has a youtube channel about spiritual development, and hosts regular Bliss Out retreats for expansion, development, and planetary healing. 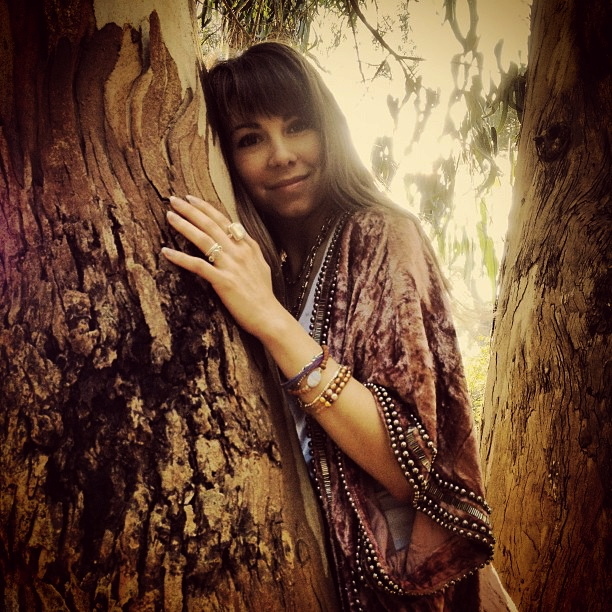 Kierstie Leavitt is a passionate indigo, determined dreamer, curious cat, intuitive massage therapist, and energy worker. She resides in Park City, Utah while playing, laughing, and exploring spirituality with her soul family. She loves all things mystical, nature, free form dance, art, music, writing, tantra, gardening, and food. She feels most alive when she’s singing her heart out or getting lost in nature and entraining with it. Her passion is to help others become more intimate with their own nature and align with their deepest self, emerging with pure honesty into freedom. 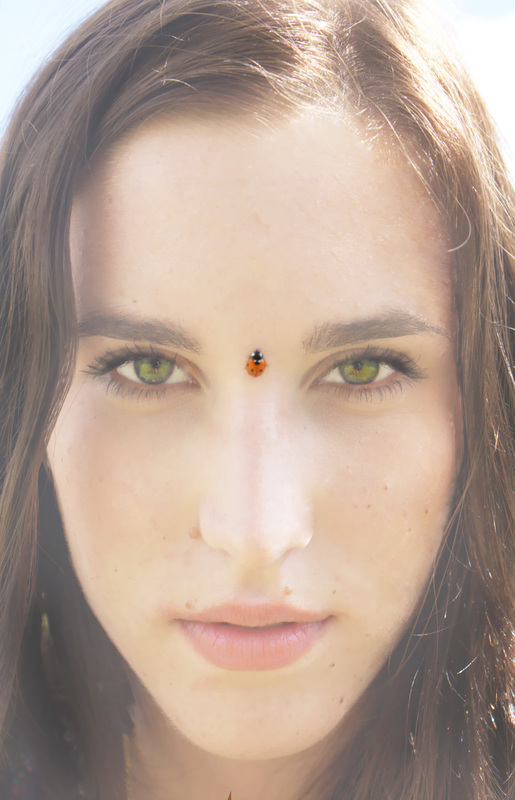 She has aspirations of opening healing centers, communal living spaces, tantric workshops, and writing books. You may contact Kierstie at kierstieleavitt@gmail.com or visit her new YouTube channel at www.youtube.com/user/junipermoons. Athena Ziegler is a Certified Aromatherapist and reiki practitioner. She carries a BA in Anthropology with an emphasis in Archaeology from San Francisco State University. Athena is the owner of Charmed Botanicals where she heals and guides people spiritually with the help of mystical aromatherapy. Along with the use of essential oils, Athena also utilizes the amazing healing earth energy of reiki to assist in healing the mind, body and spirit. Space for this retreat is extremely limited. Only 9 spots available. To secure a place, click here. Writing to Connect with the Elves! Last Class of the Year! Starts Monday! This is the last round of “Writing to Connect with the Elves” I will be facilitating this year. Sign-up today! Class begins on Monday! In this class you will learn to play with your inner-child, dream big, open your creative chakra, and use your imagination to discover your unique and essential role on this planet. Pure imagination, fun, bliss, and creativity — this three week-long adventure will be unlike any other. You will enter a world where fairies and elves are real, magic is essential, and you have a unique and valuable role to play! We will attempt to connect to our Greater Myth through a personal journey/quest in the Elemental realm. Each participant will embark on a personal Quest – the quest to find the treasure hidden within their hearts. 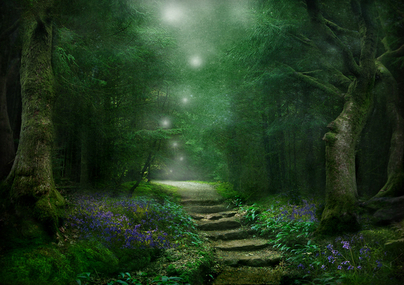 You will receive “writing meditation” that pertain to your quest (like going out in nature and talking to the trees), but in these assignments you must allow your imagination to fully immerse you into another realm – this dimension is where your treasure is buried – the calling of your life’s purpose. The class will contain both written and audio meditations, instructional healing videos, and a class forum where participants will be able to communicate and connect, and share their experiences. A magical, imaginative, “bliss-out” way of connecting to your Higher Self and greater purpose, this class will certainly wake-up your sleeping child, and provide food for your under-worked imagination. *Access to our online forum, where you will be able to connect and share experiences with others in the class. *Five Elven Writing Meditations, designed to help you learn to enter into other dimensions to heal/restore your heart and discover your bliss! *Three private audio meditations designed specifically for the class (you will receive these via YouTube video). *Daily feedback/interaction with Amanda as you embark on your unique, restorative journey through the Elven realm. Blissing Out with the Elves in Park City, Utah! It’s officially up for registration! 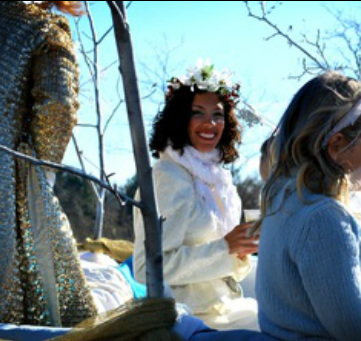 Blissing Out With the Elves, November 9-11, Park City, Utah. A retreat house in the silent, magical, snow-covered woods. A small group of like minded people eating delicious foods, learning to access intuition, see auras, and do more amazing things, all in one weekend. Hot tub. Massages. LOTS of chocolate. Gonna be great! Hosted by Charis Melina Brown and Amanda Flaker. Check-out the link below for details! 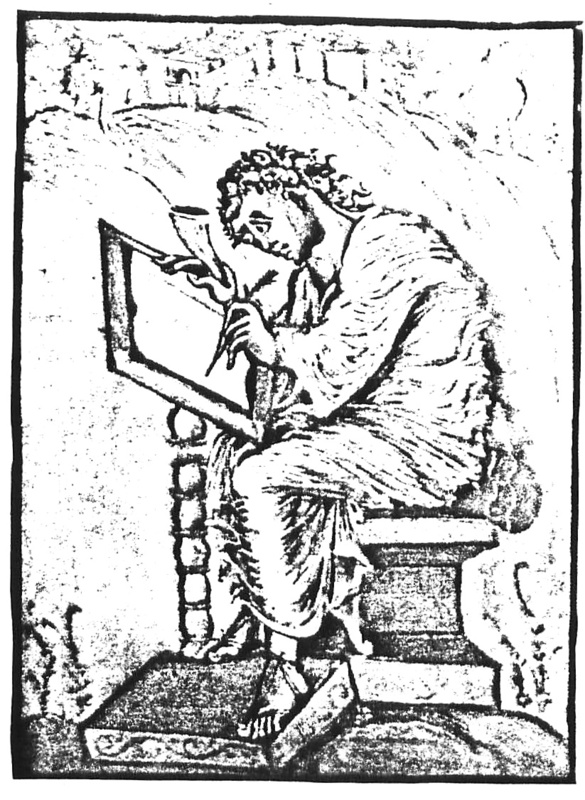 Connect with Your BLISS through Writing! I’ve been receiving a lot of emails regarding my “writing to heal” class, and other workshop opportunities with a writing focus. 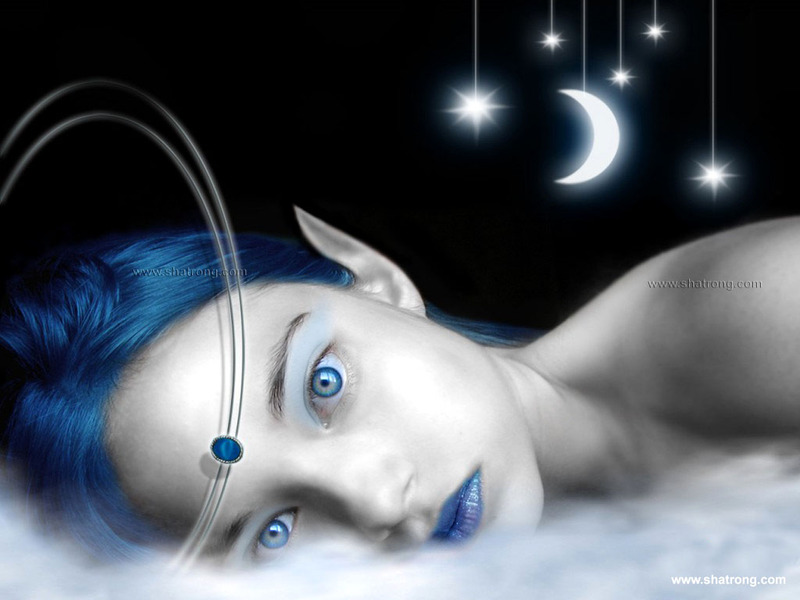 In Writing to Connect with Elves, you will learn to play with your inner-child, dream big, open your creative chakra, and use your imagination to discover your unique and essential role on this planet. Unlike most writing classes, you will receive two intuitive readings from me (one at the beginning and one at the end of the workshop), and encouragement/help from the other participants. It’s an intuitive heart-session/life coaching class, with an Elven twist! The Writing to Heal workshop is all about awakening your Highest Self with a journey through the release of any past trauma, limited belief systems, and old-paradigm ways of thinking, to make room for the NEW. Through several known and established techniques (plus my own creative intuition) I will take you through a journey into you own hearts and imaginations, to help make-way for BLISS to flow through any blockages that may be holding you back. Both classes will have an online forum to connect and interact with other participants. It’s a fantastic way to meet like-minds, have fun, and take that most important journey of all – the journey into the mysteries of your magical heart. *Details, price, and other in-depth information will be provided with the registration info on Monday, August 13th. Space is limited (only 10 people for each workshop), so be sure to register early! Are you in the Los Angeles area? If so, join Charis Melina Brown for an intuitive development/vibration raising class — bliss-out style! Watch this video for more details, and click on the link below to register. (**Workshops/Classes and Retreats featured are not affiliated with Chakra Center). *These workshops/retreats are randomly selected. We have either heard about and/or researched them personally. None of the retreats featured below are affiliated with Chakra Center. Synchronization Workshop with Teal Scott (Spiritual Catalyst). Saturday, August 11, 2012, Salt Lake City, UT. Looking for a retreat with lots of laughter, yoga, raw/vegan food, meditation, and self-pampering? Look no more!